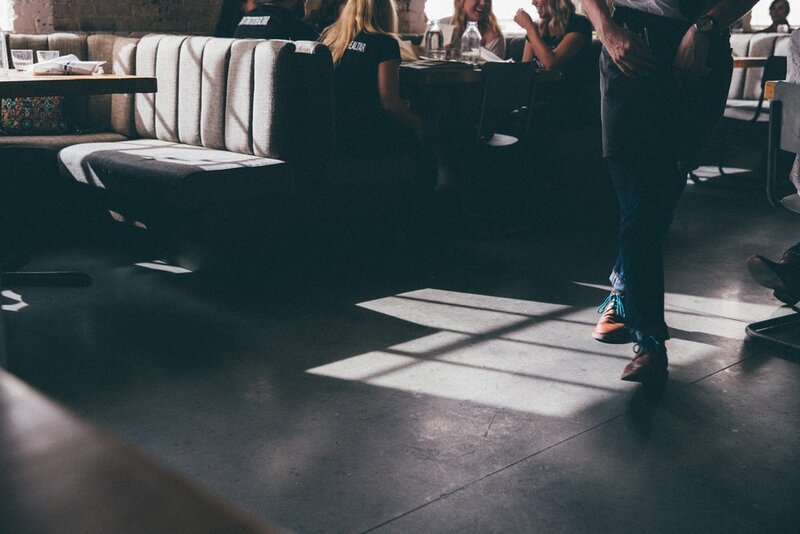 Do Waitstaff Create a False Sense of Security? I’m often asked whether a consumer device that tests for unwanted ingredients in foods will give those with food allergies a false sense of security when dining out. My response is usually the same: do waitstaff give the food allergic a false sense of security when assuring customers their food is safe? From personal experience as a waitress, and as someone with food allergies, I can assure you, it happens. Roughly a decade ago, I waitressed at a restaurant in Midtown Manhattan. It was a fast-paced work environment that demanded recall of dozens of orders and seating positions at any given time. The restaurant was located a few blocks north of Madison Square Garden, so we’d routinely get flooded with hungry patrons before and after performances. During my tenure waiting tables, I grew accustomed to the frequency with which waitstaff made mistakes—and it’s often. A few times a week I would mix up orders, fail to put in special requests, and was once lambasted for accidentally serving a woman regular coke instead of diet. I never made that mistake again. But there’s a difference between mixing up soft drink orders and forgetting to inform the kitchen of a food allergy. Despite their best efforts and intentions, waitstaff don’t always get it right—even when it comes to food allergies. Many waiters don’t know that pesto usually contains pine nuts, that marzipan is almond paste, or that peanuts and nutmeg are not tree nuts. According to a recent CDC report, restaurants were found responsible for nearly half of all food allergy fatalities over a thirteen-year period. That same report found that less than half of all restaurant managers, and only one third of servers, receive any formal training on food allergies. Legislation is also lagging. Today, only six states (Illinois, Massachusetts, Maryland, Michigan, Rhode Island, and Virginia) and two cities (NYC and St. Paul, MN) have passed laws to increase food allergy safety and awareness in restaurants. We’ve clearly got a long way to go. I’ve also had my fair share of personal experiences with misinformed waitstaff. This past year alone, waitresses at two different restaurants assured me that my dish was allergen-free when, in fact, it was not. One of the more memorable incidents occurred when I was ten. Our family went to a fancy restaurant near our home for my mom’s 40th birthday. I typically wasn’t allowed desserts at restaurants, but my parents decided to make an exception. We informed the waitress of my food allergies, who then confirmed with the chef that the dessert was safe. After sheepishly taking a small bite, the waitress came barreling out of the kitchen towards the table: there was marzipan in the icing (they hadn’t checked with the pastry chef until after it was delivered to our table). Fortunately, I spit the cake out and the reaction did not rise to the level of anaphylaxis. Dining out has and will always present challenges for the food allergic, and living in a bubble isn’t a realistic option: I don’t know one adult with food allergies that doesn’t dine out at restaurants or eat foods prepared by others. Right now, the food allergy community relies on the word of the kitchen and waitstaff—the first and only line of defense to prevent a reaction; then there’s epinephrine if things go wrong. Little progress has been made in the way of management tools for preventing allergic reactions in past decades, but fortunately, that’s starting to change. We’re finally seeing a surge of start-up activity in the food allergy space, with different products and apps designed to help the food allergic population better manage their allergies. After all, dining out shouldn’t feel like a game of Russian roulette! Consumer devices that test foods for unwanted ingredients are intended as a supplement, not a substitute, to the standard precautionary measures those with food allergies would otherwise take when dining out or eating foods prepared by others. For example, I’m still going to tell the waitstaff I have food allergies; I’m still going to take a small bite before diving into my dish; I’m still going to avoid Thai restaurants, desserts, and pesto; and I’ll continue to have my epinephrine on hand. But an additional layer of assurance would be a vast improvement on the status quo. Having been on both sides of the table, I know this much is true: waitstaff make mistakes, and it only takes one to trigger anaphylaxis. We food allergic folks need all the tools and reassurances we can get. Who better to listen to on the topic of fear than the first female scientist to win a Nobel Prize (twice!)? Curie had to overcome quite a few fears in the male-dominated science profession before winning those awards. She was also the daughter of a proud papa named Wladyslaw, a math and physics teacher (her mother died when she was ten), which is a nice segue to another proud papa: me. My name is David. I’m a 43-year-old corporate attorney, private equity and venture capital investor, and the father of three wonderful daughters. My daughter Caroline is not a scientist (yet), but like Curie, she confronts fear and hostile environments every day. She is severely allergic to peanuts and most tree nuts. As any parent of a child with a food allergy will attest, food outings are an exercise in fear. Even though my wife and I have no allergies, we experience this fear vicariously through Caroline daily. I can see the fear in Caroline’s eyes nearly every time we dine out. For a ten-year-old girl, this fear can be debilitating, frustrating, confusing, and embarrassing all at once. Caroline counts on us to always protect her, making us promise that she won’t get “hurt” when she eats out with our family. Caroline is good at math. Even at ten, she knows that getting it wrong even 0.1% of the time can be deadly. It is our very own David and Goliath story: my fragile young daughter against the fear of uncertainty. On a recent trip to our local ice cream parlor, we loudly (in keeping with custom) informed the teenage server of Caroline's peanut and tree nut allergies as we placed the orders for our three young daughters. The staff proceeded to assure us every precaution and make her ice cream cone in a separate, allergy-free area. These precautions always make me feel better, but the fear is constant, like white noise in the background. First to receive her double-scoop cone was our eldest daughter, Ashley. Within seconds of handing her the cone I was startled to attention, "Dad, this tastes like peanut butter!" We didn't order a peanut butter cone for Ashley. Ashley has no food allergies, however, we never allow our other children to eat peanuts or tree nuts around Caroline. Family rule! I took a bite and sure enough, a strong flavor of peanut butter filled my mouth. Disappointed, we immediately informed one of the servers, who shrugged it off as if we had just informed her that she had forgotten to add green and red gummy bears to the cone. "Whoops, I guess we put the wrong thing in the order, sorry." I was stunned, but frankly, over the years I’ve grown accustomed to non-allergic parents, teachers, and servers acting like food allergies just aren’t a big deal. What if that server had accidentally given Caroline that cone? I clutched my daughter’s EpiPen case and shuddered to think what would have happened if she had been the one on the receiving end of that double-scoop chocolate cone. Uncertainty and fear gripped my insides. First, I make a point of frequenting stores and brands that promise nut-free facilities. The only “nut-free” bakery around is the next town over, but I think it’s worth the trip. I also support nut-free brands to ensure they stick around. Second, I have spent the last five years of Caroline’s life trying to teach her to look out for herself. It’s a lesson I hope she will take with her when she is a teenager dining out with friends, and ultimately when she leaves our house and has to fend for herself. For my wife (Julie) and me, questions and doubts continually spin through our minds: Will she remember to carry her EpiPen at college? Will she know to diligently check food labels when we’re not around? Will she ever be too embarrassed to speak up about her food allergies when out with friends? To combat these concerns, we always try to make sure we’re helping her build the skills she needs to manage her food allergies solo. One recent evening, while dining out at a local farm-to-table restaurant, I discovered half of a walnut in my nut-free pasta. While once again surprised and scared, it was a stark reminder of how easily cross-contact occurs. Enter Allergy Amulet, an early-stage technology company trying to create greater food transparency and help individuals with food allergies feel safer about the foods they eat. I believe that technology holds the key to helping her defeat her Goliath. That’s why Julie and I are proud investors in the company. Perhaps one day in the near future, my little wonder woman will not be brandishing a primitive sling-shot to slay the giant, but rather, an Amulet. Perhaps science will help her overcome her fears, and help her understand more, and fear less. David would like to thank his wife Julie for her careful edits and contributions to this piece. Standing in line at Trader Joe’s last week, I noticed a sign alerting shoppers of a recent recall of their Matcha Green Tea Ice Cream due to “the potential presence of small metal pieces in the product.” If you’re thinking, “That’s nuts!” You’re right—although in my case, either would probably be just as harmful (I’m fatally allergic to nuts). If you’ve ever been to an ice cream parlor with a food allergy, you know that the only thing separating a scoop of almond praline swirl and plain vanilla is typically a bucket of water—and for someone with a severe food allergy, that’s not going to cut it. Trace amounts of a food allergen, as low as parts-per-million levels, can be fatal for those with a severe food allergy. These days, many popular smoothie bars offer “protein boost” health supplements, which often include tree nut and peanut powders (or other popular plant-based powders like chia seed, brown rice, hemp seed, green pea, sunflower seed, or pumpkin). These powders can have incredibly high allergen concentrations, which is to say, the slightest trace of one of these powders can trigger a severe reaction. Dr. Garcia-Lloret, a professor of pediatric allergy at the Mattel Children's Hospital at UCLA and a pioneer in the food allergy community, has been treating food-allergic patients for nearly 20 years. Needless to say, she’s seen countless allergic reactions and anaphylactic episodes over the years. When we spoke, she offered a cautionary tale when it came to these cold summer treats. "Based on my experience, those with food allergies should be wary of ice cream parlors and smoothie bars, as they don't usually think of these types of establishments as hazardous, and they lower their guard." She also mentioned that teenagers are particularly vulnerable in these settings, noting how carefree summer outings with friends too often lead to the emergency room. 1. Ask the smoothie bar to use a freshly washed blender. Double-check their sanitizing process to ensure the blender has been thoroughly cleaned and there is no lingering allergen residue. 2. Make sure the ice cream scoop has been thoroughly washed since its last use. 3. If the person behind the counter wears gloves, ask them if they’d kindly change their gloves (or wash their hands if they’re not wearing gloves, as appropriate). Many of these establishments offer other foods as well, so this is a good way to ensure you’re avoiding cross-contact. On the upside, many ice cream parlors and smoothie bars are becoming increasingly allergy-conscious, and are implementing more stringent protocols to accommodate those with severe food allergies. Let’s be honest, what kid (or adult) doesn’t want to participate in this classic summer pastime? If you’re now wondering, Where do I find hidden these allergy-friendly gems?! Spokin recently compiled this short list of some the nation’s most allergy-friendly ice cream parlors! Or, if you’d prefer to purchase a pint instead, check out this list of top allergy-friendly ice creams! Wishing you all a SWEET summer!